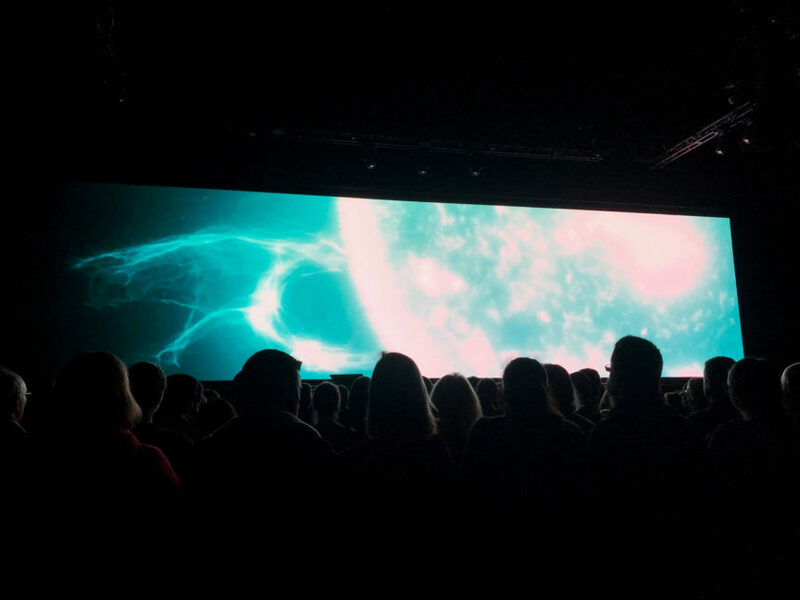 When Professor Brian Cox OBE took his latest tour, Universal – Adventures in Space & Time to Liverpool’s M&S Bank Arena this February, Showforce was on-hand to provide crewing support to longstanding client Phil McIntyre Entertainments. The record-breaking show offers a fascinating insight into the workings of nature at the most fundamental level. Whether an avid science reader or a total novice, Professor Cox makes challenging ideas accessible to all, exploring the vast, possibly infinite universe and our place within it from earth to the edges of the cosmos. Showforce’s crew assisted with all production elements for the install and de-rig of the project. With 14 crew members involved with the build, the first task was to unload three truckloads of equipment which the team willingly carried out. It was imperative this was done in a timely fashion as the tour was on an overnight drive from Aberdeen meaning a later than normal load in time to allow for a long drive. From there key tasks included assisting with the lighting, sound and pa equipment. However, the stand out element of this job is the main audience attraction; a large high resolution LED video wall measuring 25m wide x 6m high, made up of 600 individual tiles and weighing nearly 9000kg. This screen is used to show the audience incredible images of the cosmos and videos created by the DNEG studio which was responsible for the special effects in the movie ‘Interstellar’. Once the show was over, a team of 16 crew returned to the venue to complete the de-rig and reload the trucks ready for it to move on to the next location on the tour. Adam Scott, Phil McIntyre Entertainment’s production manager for the event was very happy with the team of crew he received from Showforce.